Frogs have never been my forte. The variations in the colour and texture within a species can make identification difficult. And I never get to see them. Even the stealthiest approach to a dam turns the deafening frog chorus to silence. However with my new technique of using eye-shine to locate the critters at night I am coming across them all the time. This is particularly true after rain when they all seem to come out and sit on the driveway and are undisturbed by my approach. 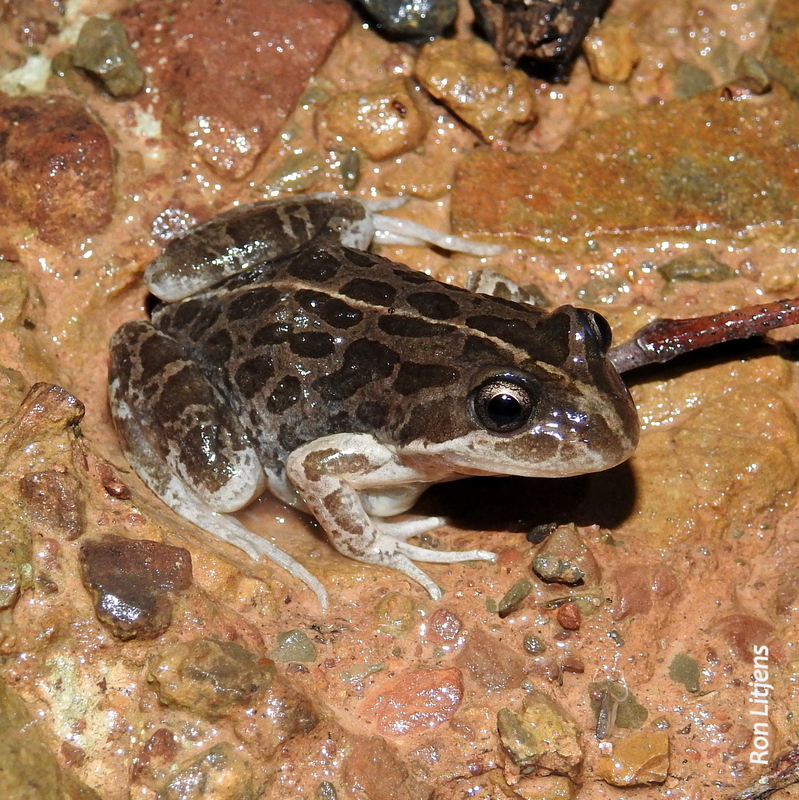 The Pobblebonk or Eastern Banjo Frog (Limnodynastes dumerilii), pictured left, is easy to identify. The call, a loud “bonk’, is distinctive as is the pale stripe from below the eye to the top of the front leg. 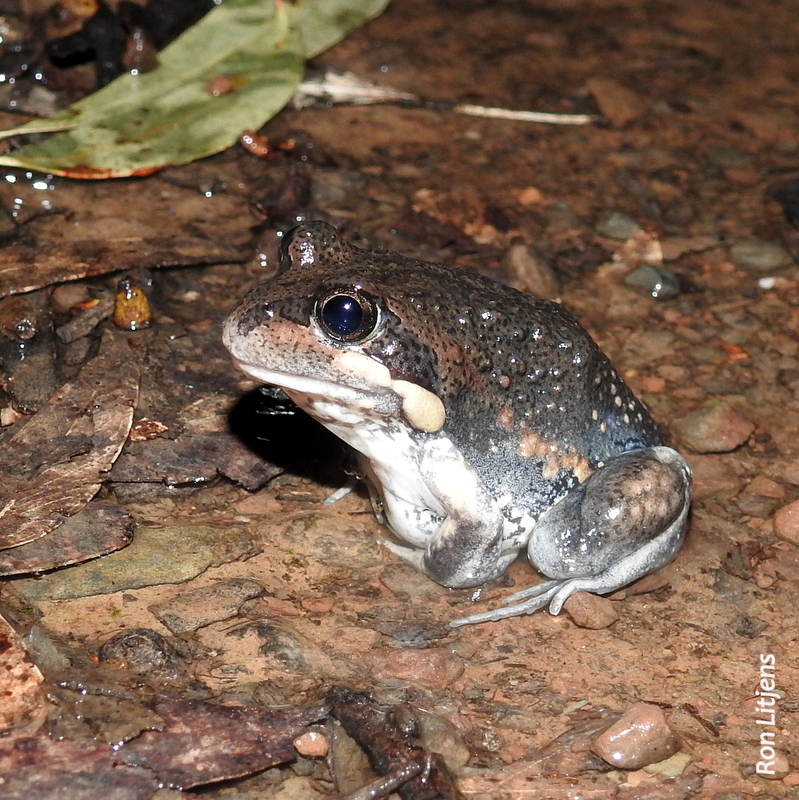 A recent ‘find’ for me was a Spotted Marsh Frog (Limnodynastes tasmaniensis), pictured right, distinguished by the yellow stripe down the middle of the back (and the spots of course). I had never seen one before and I rushed back to the house with the photo only to find that they are distributed over most of Victoria and are very common. Still it’s good to find something I’ve not previously seen. The identification that has still got me guessing is the frog pictured below. 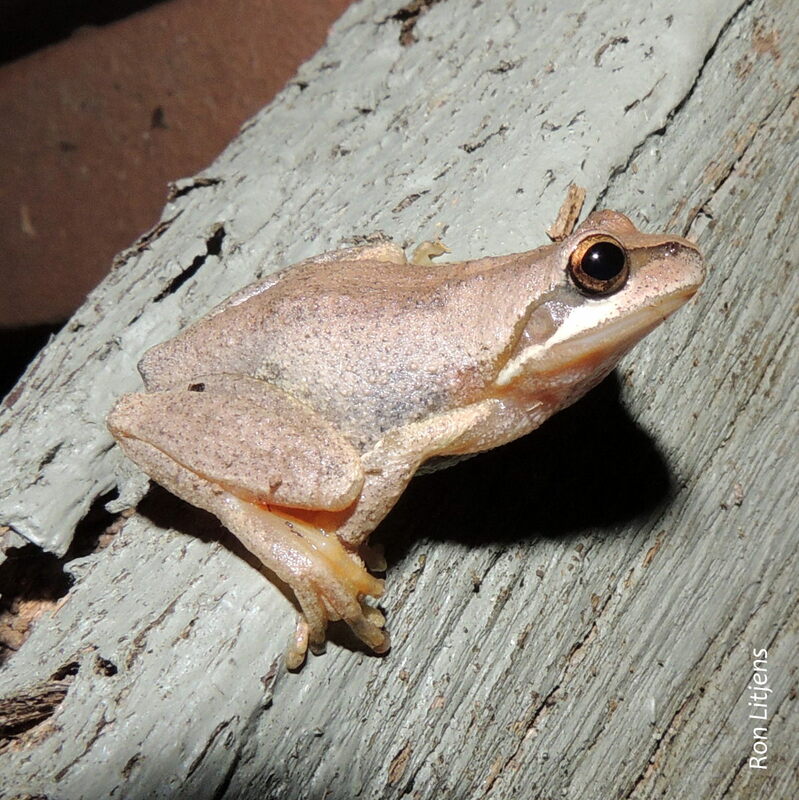 The pads on the toes identify it as a tree frog and distribution-wise either a Plains Brown Tree Frog or a Southern Brown Tree Frog. Because of the dark stripe from the nose through the eye to the arm I’m guessing the former. The difference in call is the frequency of the ‘cree cree cree’, not very helpful. Rest assured I will be out at night when the next rain falls. There’s a whole new world of things to discover.